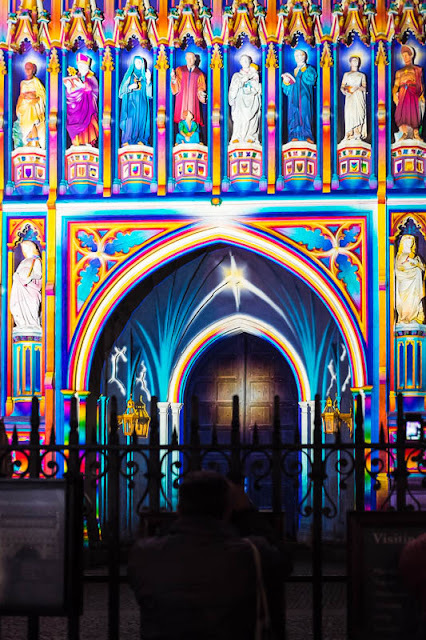 Fresh eyes on London: The Abbey Never Looked so Good. The Abbey Never Looked so Good. Westminster Abbey with the Lumiere London treatment. Loved the Lumiere series Mo. I missed the show in Perth this year. Amazingly colourful! There's something similar done here on our Parliament buildings, but I didn't have a camera on me on those evenings I was passing by there. Well, we don't see that every day, Mo.